Autumn Greens . . . The language of autumn so often goes to “russet glows” and ‘the tang” conveyed by the leaves, shed, and drying to curls, colors bright of yellow, orange, and red leading to brown. November, the fleeting, waning of an Equinox, allows a continuity to the growing season when as wet as has been this year. Look closer to see lingering to lushness of veins of rich green nestled within all this glowing russet bed. 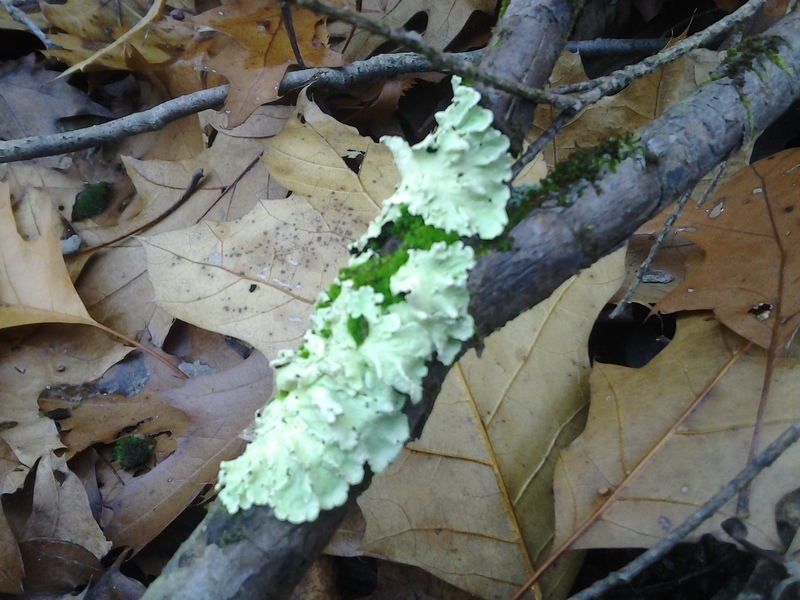 Green in the the moss and the lichen feasting on some of the clearest damp air of the year. Green is the onion grass bathed by the sunset, light framed and focused by a high line of underglowed cloud stretched across the horizon of the Hudson. Wildflowers in the West Village. February Flowers Green . . .
Wind may be heard in the ears on the first afternoon, followed by daylight hours of stillness. Snow melts under scattered showers over a few overcast February days. Water, cold and clean, drips and drops over rocks, down trunks, and brings early green into bloom in Manhattan. Some views are so rendered by nature to appear as Art in itself that should be viewed but not walked upon. Take in a lawn sprinkled with the bristled iron brown fruits of the Sweetgum, Liquidambar, then move along. The Path: the fact, like the philosophy, when followed keeps the pristine that way. Wet and gloomy, perhaps the middle of Winter can affect some psyche’s in that manner. The difference comes as the following days see a break, often bright and breezy, marking the conclusion of a February rain cycle, as did this one in 2016. 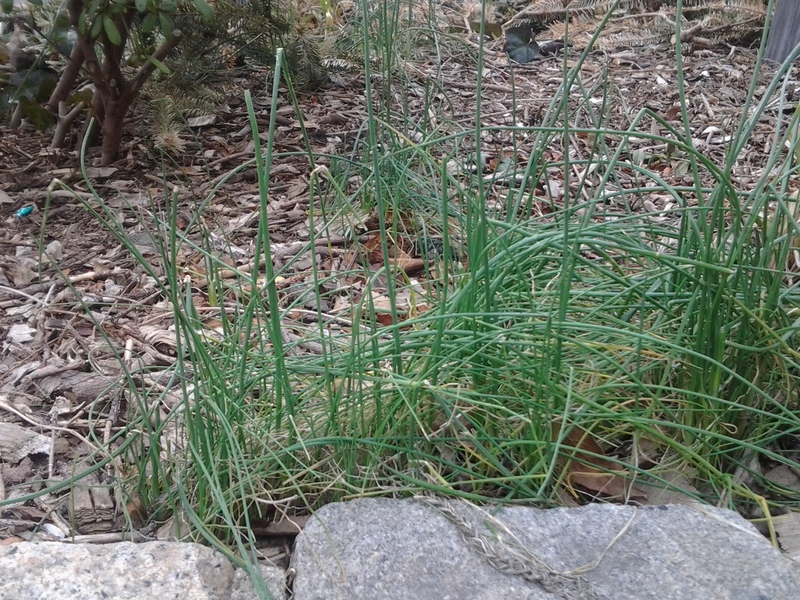 Afterward, bedded in oak leaf litter, the Onion Grass, Romulea, stands refreshed, as does the viewer, the person turned away from interior and exterior screens and instead focused on the living open air found outside during February in Manhattan. February’s Foliage . . . The second month of the year has taken the “cold” portion of the phrase “long, cold winter” to an extreme: snow, some; wind, more; and cold, constant. This state of the air has locked the West Village and the rest of the region in hibernation. White, grey, and brown remain the dominant colors found in the parks and gardens of New York. 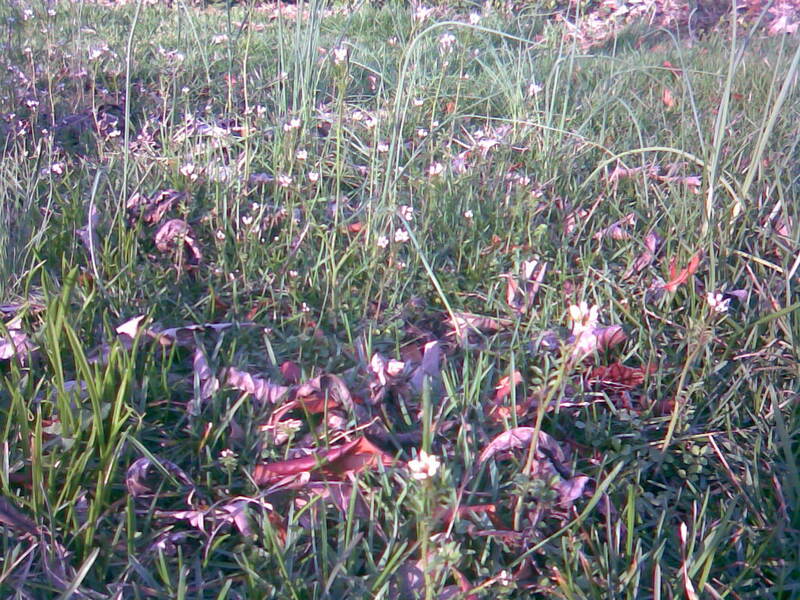 Absent this year are the blooming snowdrops and common chickweed often found in abundance along the mid-Atlantic during the latter half of the winter season. 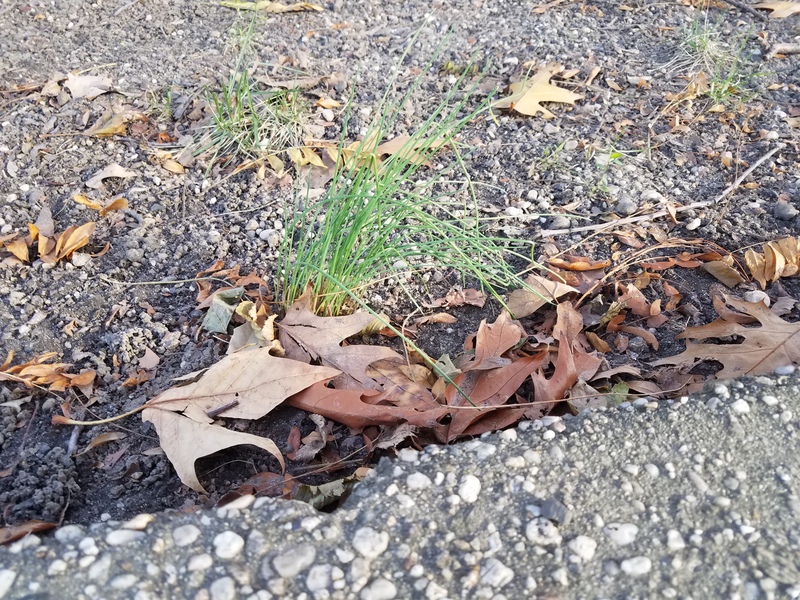 The only wild plant that has weathered the weather appears to be Onion Grass (genus Allium), which, as I reported way back in 2010, remains ensconced along the cobbled walls of Reggie Fitzgerald Triangle at the intersection of West Fourth and Eighth Avenues. The sight of this great piece of green sustains the fundamentally optimistic nature of my urban naturalist’s mood. I realize that the time and temperatures for the spring bloom should arrive by the end of March.